Attaches to any belt or Molle-style system. Velcro closure to help ensure you don't lose your shells...Fully compatible with U.S. Military Style (M.O.L.L.E.) gear. 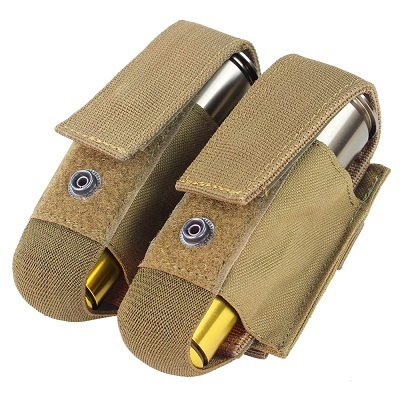 Pouches will keep all your grenades protected and at the ready. 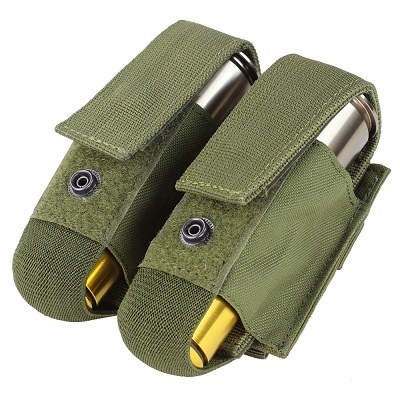 Can be placed on any molle straps and are held in place with attached reinforced snap-straps. Pouches also have straps that accept A.L.I.C.E. clips so they can be worn with A.L.I.C.E. gear, pistol belts, etc.